1. You will need to purchase certain tools for your professional website. As such you should make a budget. 2. With all this set you will need to get a credit card. Some creadits cards use in Cameroon for online shopping are : UBA Visa card, Biacash marketed by Ranbiz, and the Bsic card. If you cannot afford this, don’t call it a limitation. We are here to assist you with any online payment using credit cards, Paypal, ,bitcoins and others. 3. Choose your website name or company name. This is very important when creating your website. For example MTN Cameroon is a company with website and the domain name is mtcameroon.net. With your Company or website name, you will be able to choose the perfect domain name in the getting started stage of this write up. Click here and use the Coupon code: RMONEY60 to get 60 percent off. Enter you domain name: A domain name is something like askcamer.com, cryptoafrica.com, healthplero.com etc. Use a .com domain. Feel all the information required and proceed to the payment stage. Selecting 36 months will be good as you will have more time to concentrate on building and promoting your website. If you have a limited budget make sure you the following are not selected as indicated in the screed shot below uncheck everything in section 4). You can add later if need be. 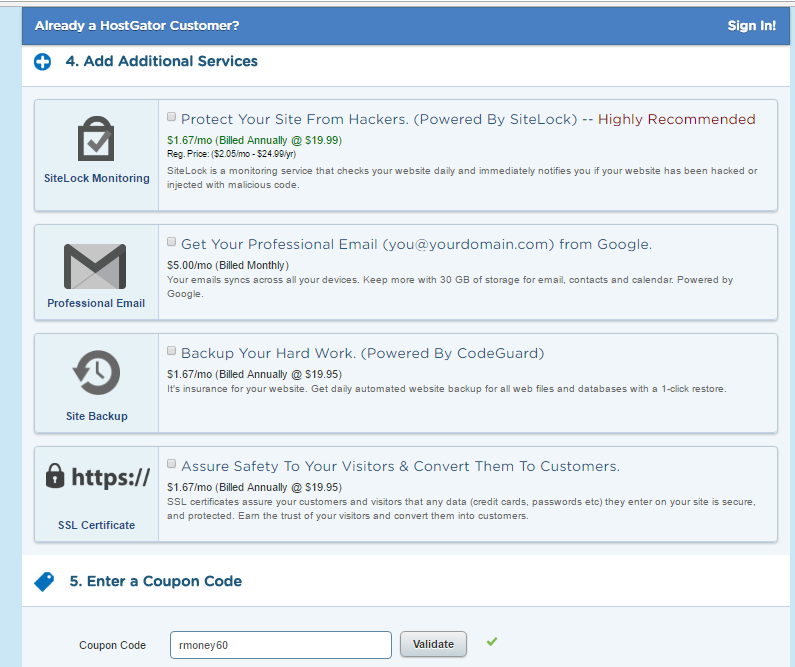 Inbox me for a small trick to get 65 percent off( email: ransbiz@live.com with heading hostgator trick). After completing purchase, you should receive a confirmation message in your inbox. This email contains important information about your account. Don’t delete the email. Congratulations bro. You are now a website owner. 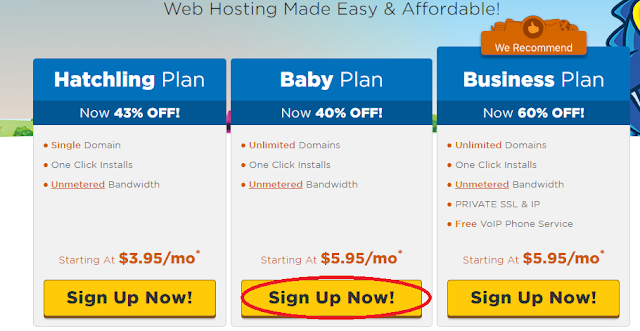 Now that you have a domain name and hosting account you need to have your website online. There are several options available for you on Hostgator such as using templates, magneto among others. My post is targeted to Cameroonians who are not tech experts. So we will keep away all the details. We will create our website using word press powered by hostgator. You will create website with no knowledge in programming. This is the good thing about hostgator. It is important to note that word press is the most used content management system in the world with cnn being among. Step#1 Login to cpanel (Cpanel link is found in the email that was sent to you) and scroll down to the section that ‘’ Software and services’’ and located ‘’ Quick intsall’’. Optionally you can look out ‘’ an icon with title ‘’Getting started with word press’’. Click on this and in the next page that opens, the details as indicated in the screen shot below. Also ensure you have received a confirmation email with your username and password. Step#3 Click on the login link and enter your user name and password. The login like looks like this: Ransbiz.com/wp-admin. You should be in the word press dashboard ready to publish your website. Create your first post, an about us page and click on publish to have your website online. In the next post we will see Getting started with word press. This will help you to design your website too look better than what you are seeing now. Have a great day. Thank you Ransom for all you have done to Cameroonians.